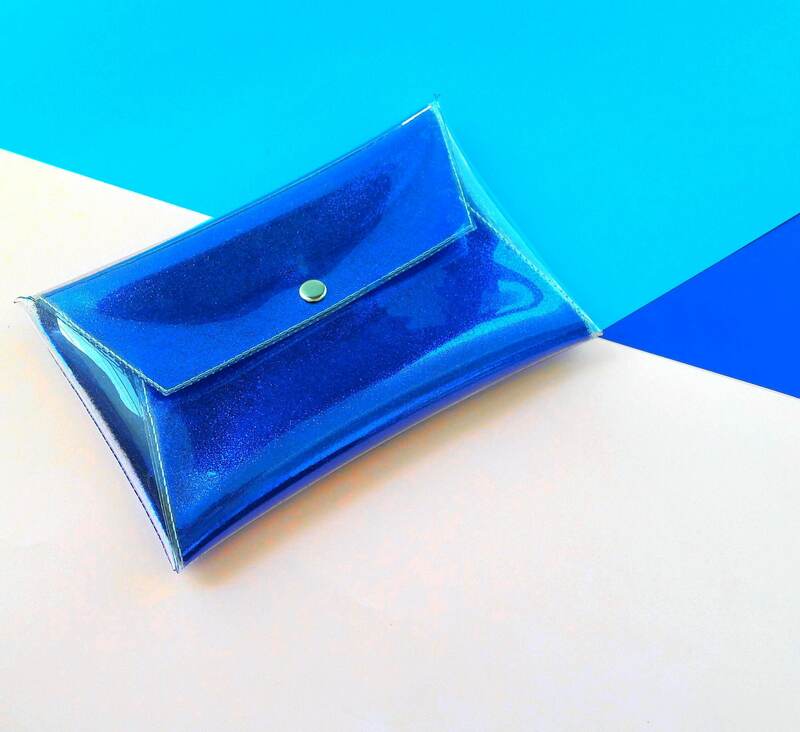 Dark blue glitter bag, Royal Blue Glitter bag, vinyl glitter bag, wedding clutch, prom clutch, evening handbag, sparkly blue purse, vegan. 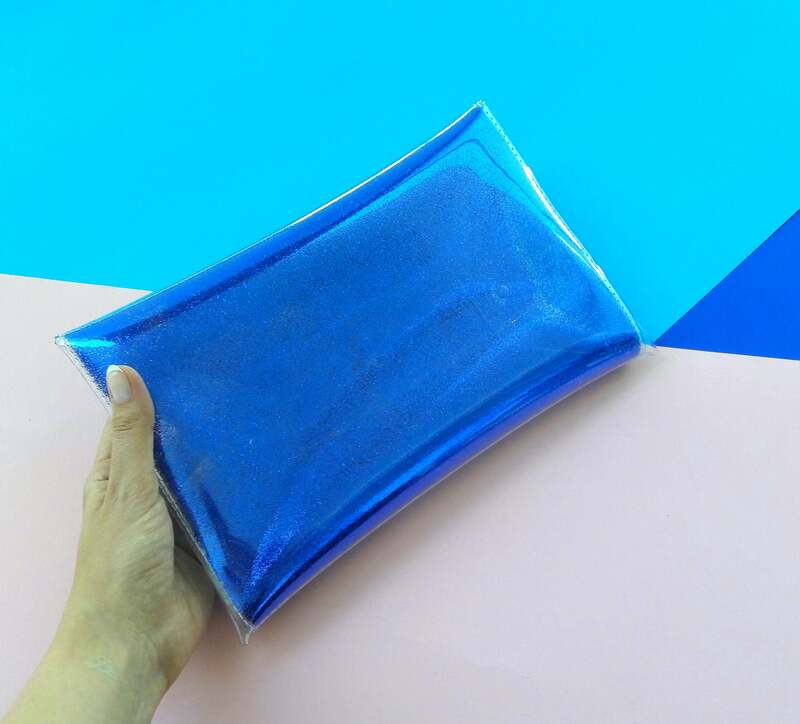 This adorable bag is made beautifull clear transparent, high vinyl foil, high quality , recycling, resistant and waterproof PVC between blue, indigo metallic, sparkle glitter. Unique and modern, perfect for making the difference. 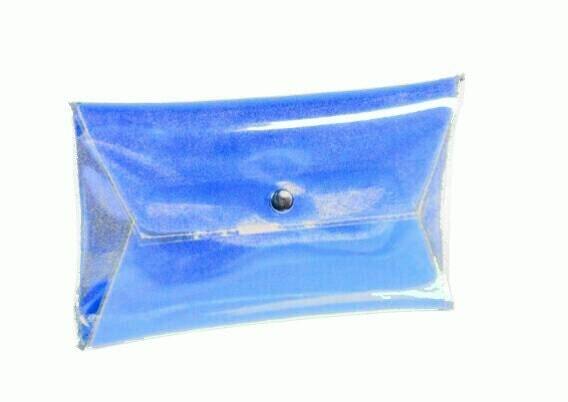 This is no ordinary handbag, envelope bag :) Unconventional addition to the date, wedding, unusual styling to each highlighting your personality! 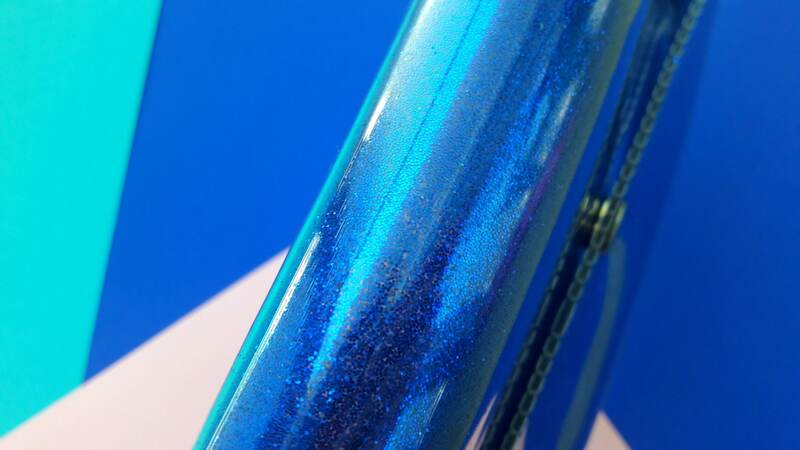 Perfect for jelly, glitter & UNICORN fans! Look at last photo- styling set with this amazing! 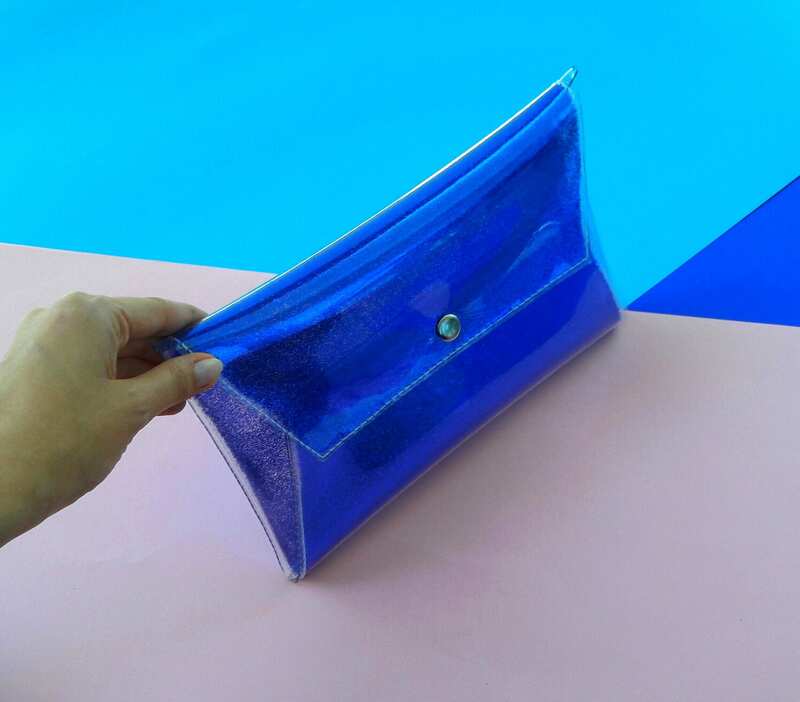 This concept retains an amazing effect bags of glitter and construction excludes the possibility borrowing , jags or scratch your creations :) prefect for prom, Party and evening with moonlight.